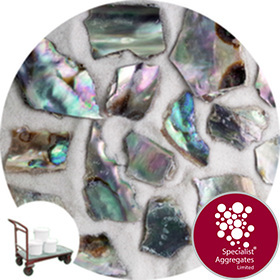 Crushed Abalone Shells - Provides a "northern light" sheen in terrazzo floors, concrete worktops and specialist wall coverings. 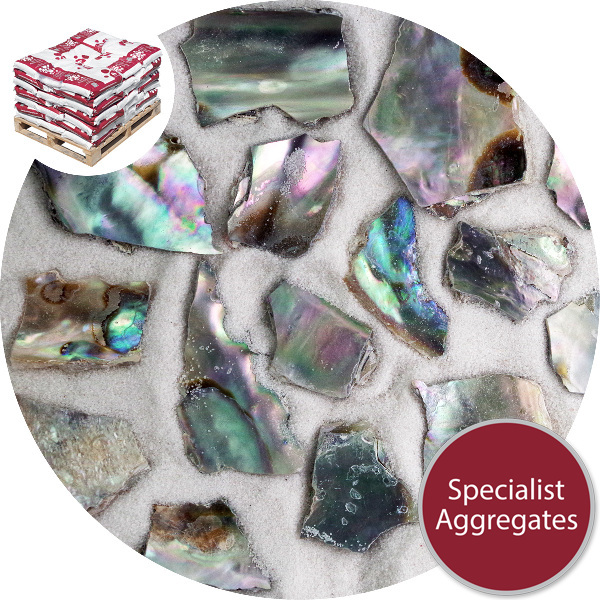 Shell size: Pieces approximately 1-4cm across and between 3 to 4mm thick. 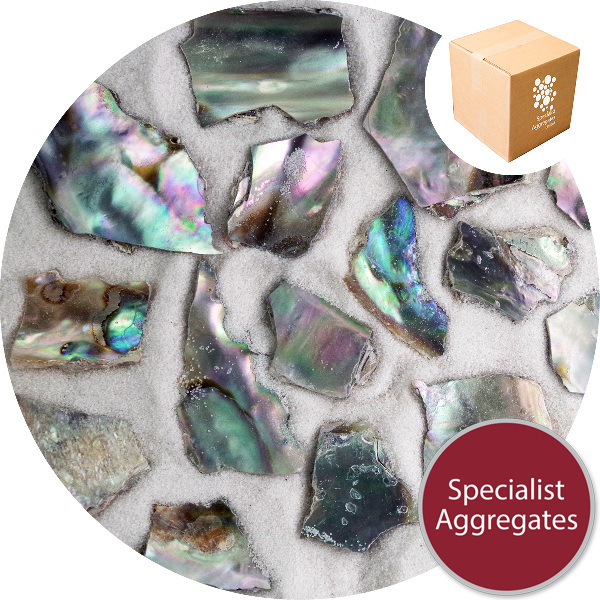 Crushed and sized irregular pieces of natural abalone shell. 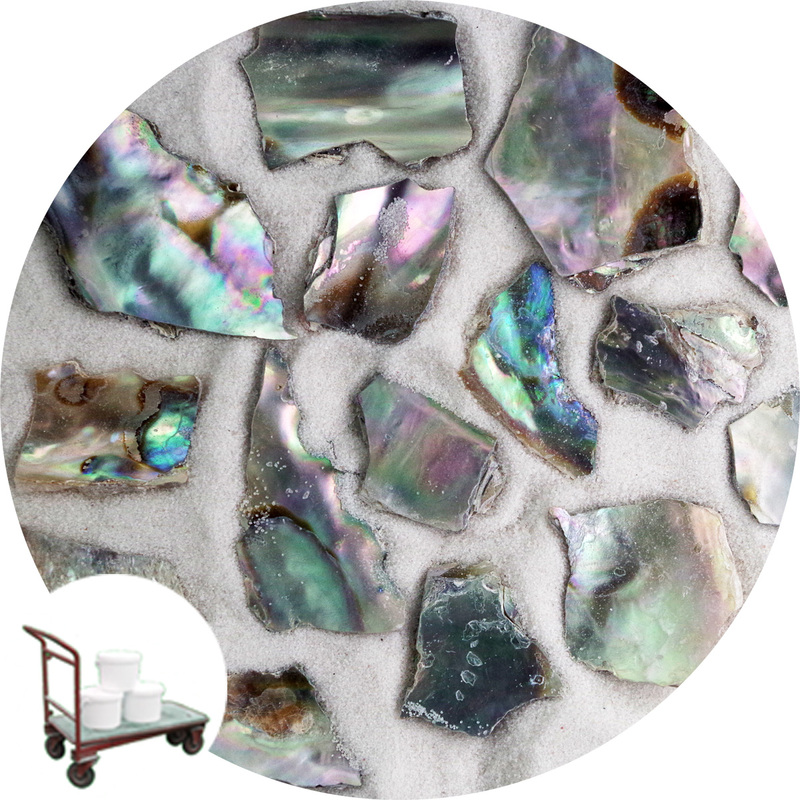 Use in terrazzo flooring, concrete worktops and wall coverings to provide a reflective "Northern Light" sheen.